Standard Professional 1 (SP1) Professional Educator’s Licenses are intended for teachers with 0-2 years of teaching experience and are valid for three years. Applicants who have completed another state’s approved alternative route to licensure, met the federal requirements to be designated as “Highly Qualified,” and earned a bachelor’s degree from a regionally accredited college may apply for the SP1. Course needed: Major in Content Language or 24 hours or Praxis II exam to meet federal requirements for “Highly Qualified”. The ACTFL languages (Japanese, Chinese, Italian, Russian) are available only through add-on or lateral routes. 2) Pass the SBE approved licensure exam(s) for each initial licensure area in order to convert the initial SP1 to the SP2 license. No Pedagogy exam is required. Copy of Tuberculosis Test Report: Submission of NC Health Examination Certificate upon employment. The Standard Professional License (SP1) is valid for initial employment in North Carolina. 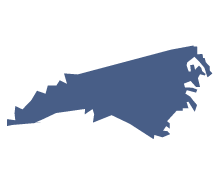 It converts to a Standard Professional 2 license when the holder successfully completes the North Carolina Beginning Teacher Support Program and passes the SBE approved licensure exam(s) for each initial licensure area. NC does not require applicants to submit a fingerprint clearance to obtain their teaching license. However, individual school districts may require a state and federal background check as part of their hiring process. Contact your local school district for additional information. For degrees earned abroad, the transcripts must be translated into English by an evaluating agency. NC DPI will not accept translations done by the applicant. There are many evaluating agencies. One example is International Education Evaluations. Grade reports and computer-generated copies are unacceptable. Official transcripts for coursework being used for HQ (“Highly Qualified”) purposes must be included with the application.